IITA Director General Nteranya Sanginga said he is impressed with the progress recorded so far by the team of young Agripreneurs operating under the name of Frotchery Foods in running their business. 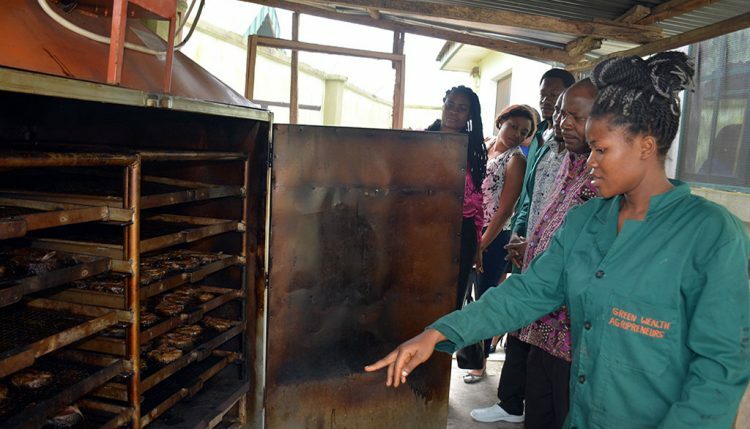 Frotchery Foods, which is located in Akobo, Ibadan, is owned by three young graduates: Ngozi Chituru, Babatunde Ismail, and Oni Hammed, who recently completed their 18-month incubation program with the IITA Youth Agripreneurs. Sanginga who was on a backstopping mission to the Frotchery Foods factory on Thursday, 9 September, said the team were part of the courageous young graduates who have yielded to the call of creating jobs for themselves and other unemployed young people in the agricultural sector. He added that IITA will continue to ensure that the agricultural sector is revitalized with the engagement of young people. He stated that the team will also serve as role models for other unemployed young people who are yet to have a change of mindset about the agricultural sector. Speaking on their journey so far, the three youth discovered that they shared similar goals about agribusiness during the incubation period at IITA, with their interest in food processing and decided to band together to form Frotchery Foods. “The training in IITA opened my eyes on what to expect while operating in the real world. It prepared us for the challenges ahead and that is why we are here now,” he stated. While appreciating IITA for the opportunity given to them to explore various agribusiness enterprises during their training, he called on other agencies and corporate bodies to support the effort of IITA in assisting the younger generation in Africa through job creation in the agricultural sector. 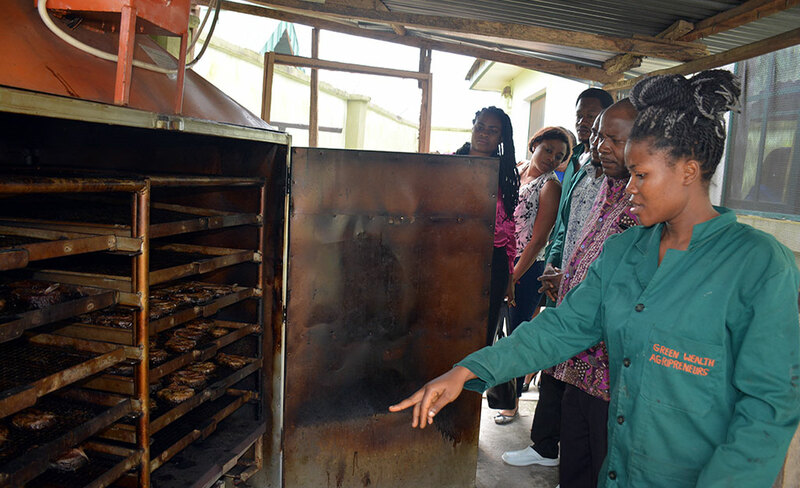 Frotchery Foods, which is one of the spin-offs recorded by IYA in 2017, commenced commercial production of smoked catfish using the smoking kiln technology. Frotchery Foods received financial backing after they developed a bankable business plan and met other stringent measures. The team has established market linkages within Ibadan and its environs and the business is thriving and has also recorded an increase in demand. Sanginga reiterated IITA’s support, stating that IITA will continue to provide technical assistance in ensuring the success of all IYA spin-offs.